Wasyl Muryn, 95, of Willimantic, passed away peacefully on November 6, 2018 at Saint Joseph Living Center. He on born on December 16, 1922 in Poland but lived most of his earlier years in Ukraine. From an early age, and facing many hardships, he became an experienced woodsman and gardener, a passion which he continued into his late 80’s. During WWII, he and other village members, became POW’s in the German war camps. After several escape attempts, he surrendered to American Allies, which led him to working with the Underground Freedom Fighters. He was later transferred to a farming work camp in England where he then met his bride-to-be, Hilda (Bryant) Muryn. In 1952, Wasyl and Hilda married in England. After a short time they immigrated to Yonkers, NY and later settled in Willimantic, CT. He and his wife both worked at The American Thread Co. and later Mansfield Training School. Wasyl was known as Bill, the wagon driver, until his retirement. He enjoyed spending time outdoors and summer days at Rocky Neck Beach with his family. 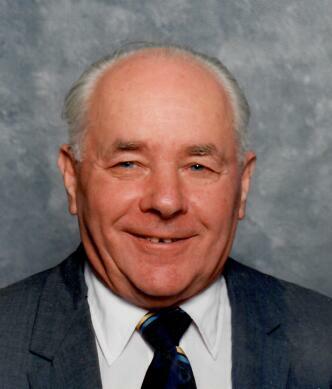 After his retirement, he went on to work countless hours at the Ukrainian National Home, where he was also a life member and made countless lifelong friends. Wasyl took the initiative to provide the Ukrainian community with traditional Easter meats. He is predeceased by his wife of 45 years, Hilda Muryn, as well as several siblings. He is survived by his two daughters; Patricia Pipitone, Faith Roberge; son-in-law, Roger; five grandchildren, Stephanie Wieland, William Pipitone, Richard Wieland Jennifer Nitkowski, and Patrick Pipitone; three great-grandchildren, Hannah Nitkowski, Shannon Wieland, and Liam Wieland. Wasyl is also survived by his sister Janka in Ukraine and several nieces and nephews and their families. His family will receive relatives and friends on Sunday, November 11, 2018 between 4:00pm and 6:00pm at Potter Funeral Home, 456 Jackson St. (Rte 195) Willimantic. A Mass of Christian Burial will follow on Monday, November 12, 2018 at 11:00am at St. Joseph Church, 99 Jackson St., Willimantic with assembly in the church parking lot at 10:45am, followed by a burial at St. Joseph’s Cemetery in Windham, CT.